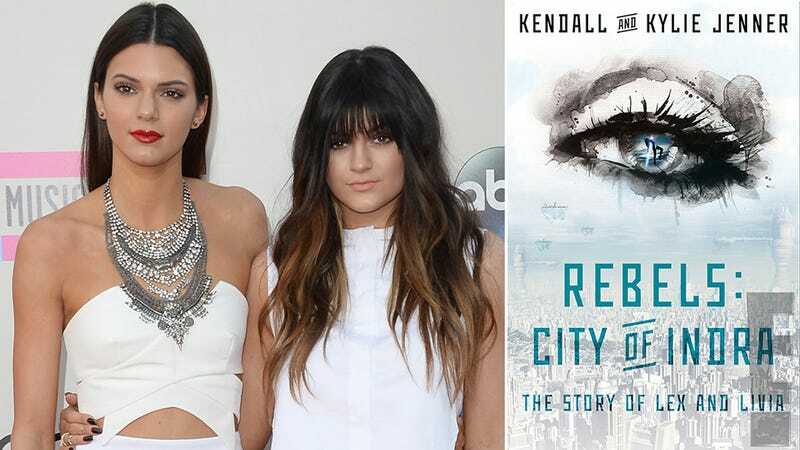 Kylie Jenner and Kendall Jenner — the youngest of the Kardashian brood — have penned a dystopian young adult novel. Surprisingly, it is not a work of metafiction, set in a dystopic present in which Kylie and Kendall Jenner are the authors of a dystopian young adult novel. Katy Perry's new favorite pastime is engagement ring trolling: here she is, for the second time in one week, wearing a giant diamond on her engagement finger (but probably only because she owns so many giant diamonds). Jaden Smith — teen thinker and fashion visionary — has reached out to contrite regular guy Shia LaBeouf. "I Waited In Line Today On Beverly Blvd To See @thecampaignbook I Never Got See Him But I Had A Very Important Message To Deliver," Jaden tweeted. "I'm Here If You Need A Fellow Insane Person To Talk To. But I'm Seriously Here Not Like One Of Those I'm Here For You's That Everybody Says."